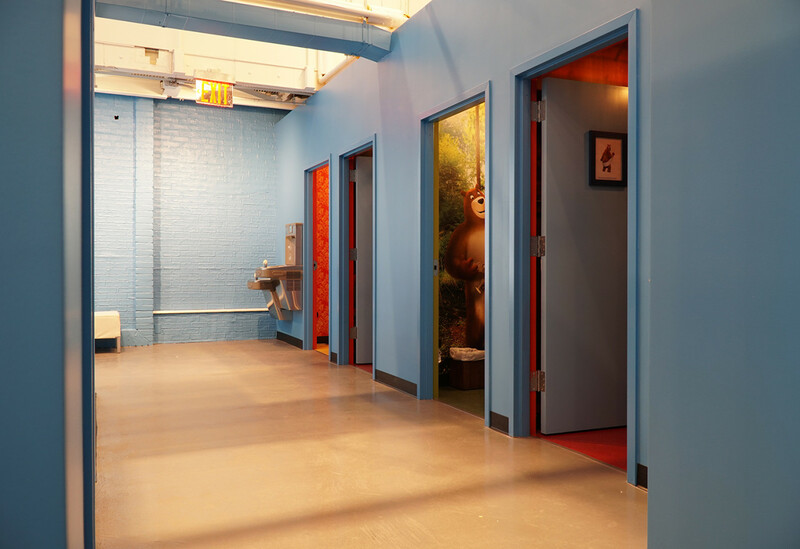 If there’s one thing New York City lacks, it’s clean restrooms—especially during the hectic holiday season. 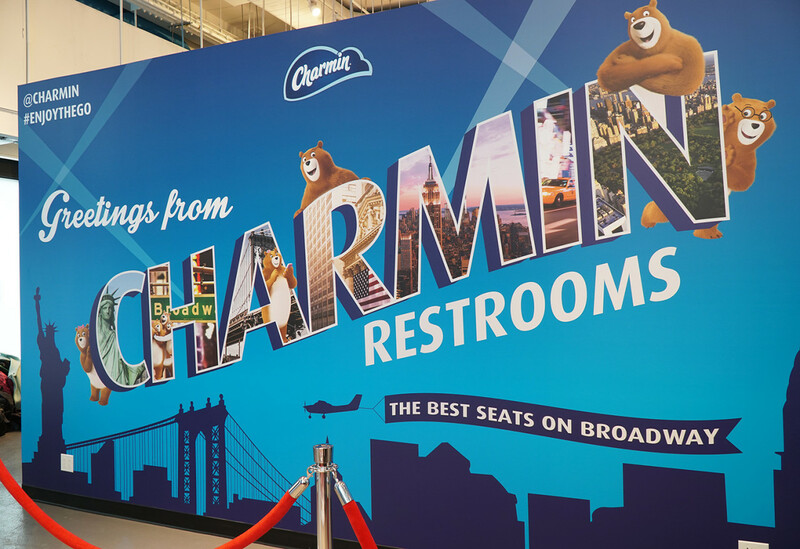 To fill that void and showcase its playful personality, Charmin is inviting the more than half a million people who make their way through Times Square during the holidays to “enjoy the go” in one of 14 themed restroom stalls located in the heart of Manhattan. 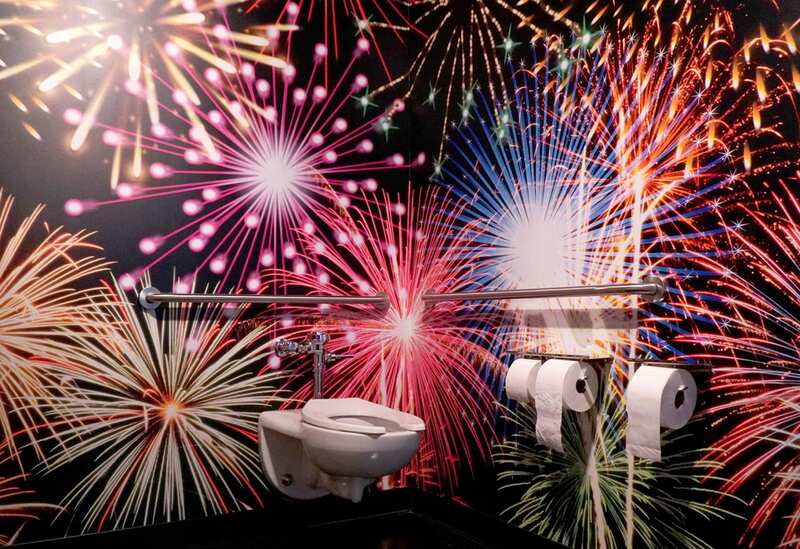 This is the brand’s second, ahem, go at the program, which was activated in Times Square every holiday season from 2006 to 2010. 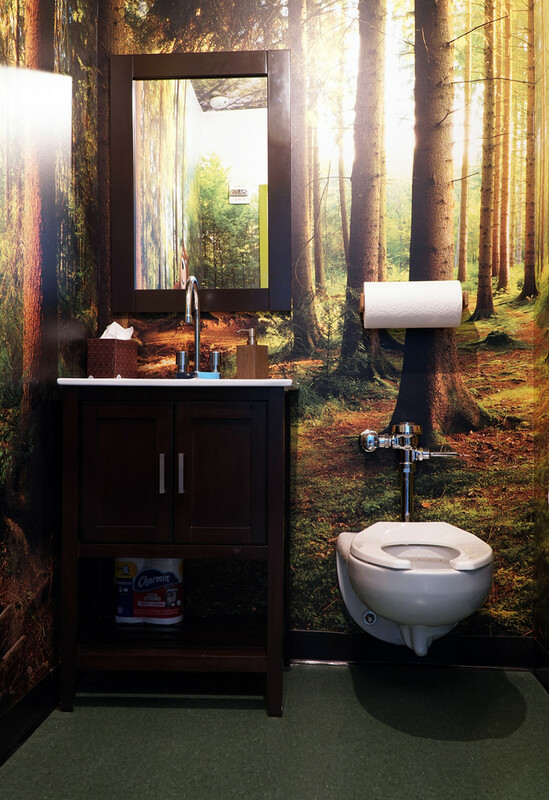 Each of Charmin’s curated stalls transport consumers to another world through ambient noise, colorful graphics and tongue-in-cheek messaging. Like the newsstand-themed stall, renamed “Poo Stand,” where magazine graphics line the walls. 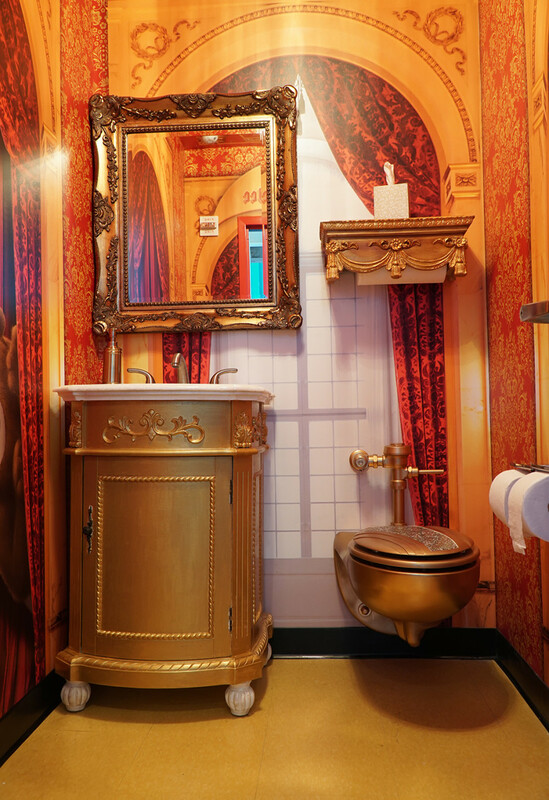 Or the nightlife-themed restroom where a real disco ball creates trippy lighting effects and framed artwork reads “VIPee Section.” And the list goes on. 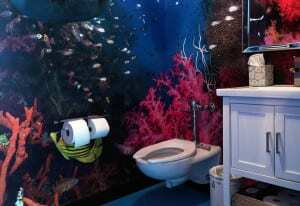 From Broadway, to space, to under the sea, there’s a restroom theme for every kind of consumer. 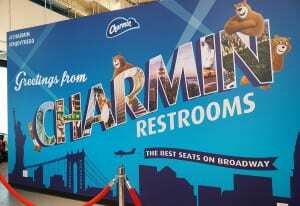 To build buzz for the program, Charmin held a handful of quirky events. 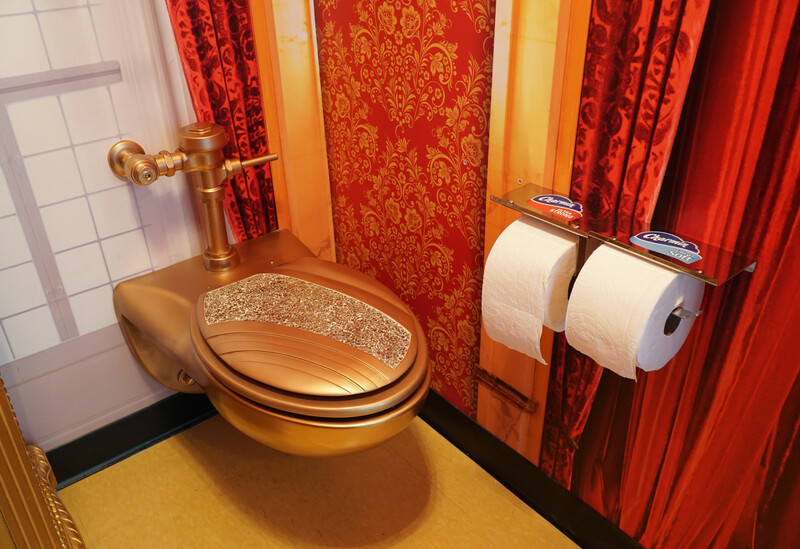 For the opening ceremony in Times Square, actor Dax Shepard led a “toilet paper-cutting ceremony,” while actress (and Shepard’s wife) Kristen Bell stopped by to mingle with fans. 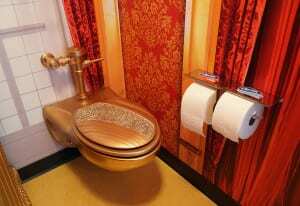 At another event, NFL legend Emmitt Smith challenged visitors to the first-ever Toilet Bowl toilet paper toss. 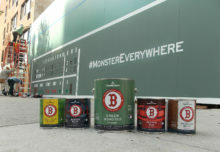 Smith participated in the game on behalf of the Special Olympics, which later received a $10,000 donation from Charmin. 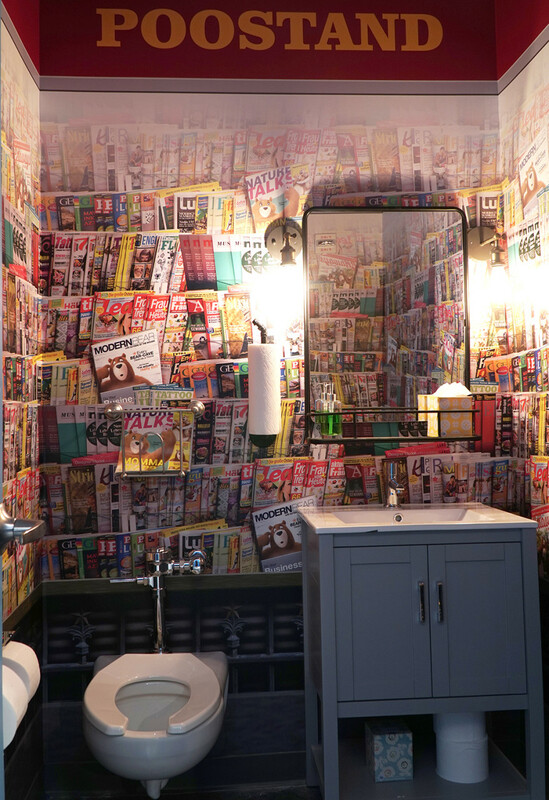 The brand finished up the final week of the program, which runs through Dec. 24, with a “That’s a Wrap!” event featuring a holiday performance by singer-songwriter duo Alexander Jean, and “speed gift wrappers,” who packaged consumers’ last-minute presents while they used the restroom. “You can’t take yourself too seriously when you’re marketing toilet paper,” says David Mullaly, Charmin brand manager. “So, we like to have fun. 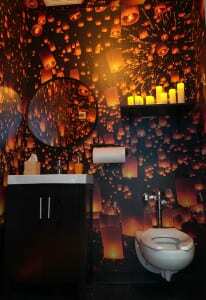 We like to show people a lighter side of the brand and help them to enjoy their bathroom experience. 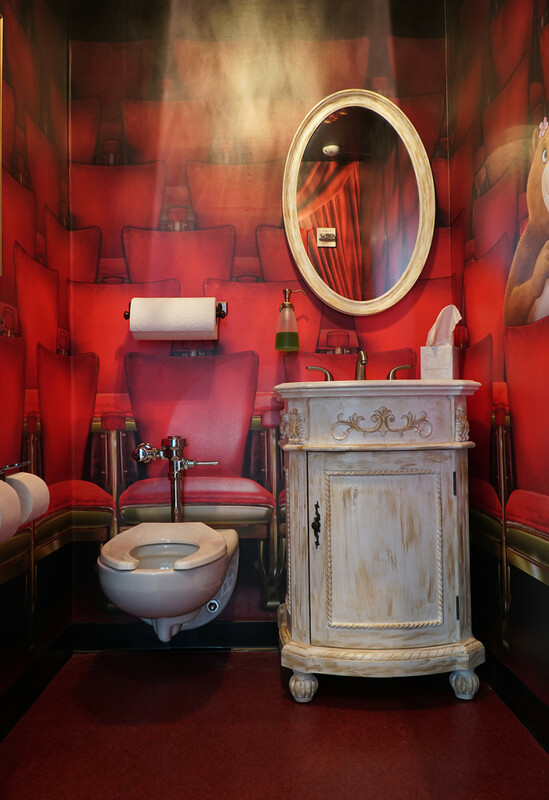 The best way to do that is with [live] experiences, so we wanted to get out and provide that directly to consumers.” Agencies: Jack Morton Worldwide, Chicago; Publicis, New York City; MSL, New York City. • Pots of Gold: Are Brands Missing Out?